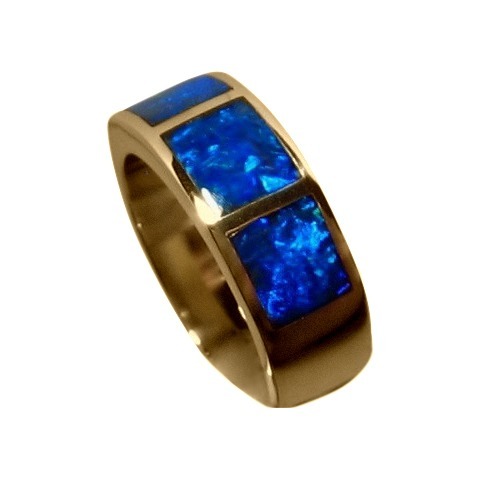 An inlaid Opal ring in 14k Gold with three very bright Lightning Ridge Blue Opals. This Opal ring is a style of ring that men or women can wear with the band measuring just over 6.5 mm. 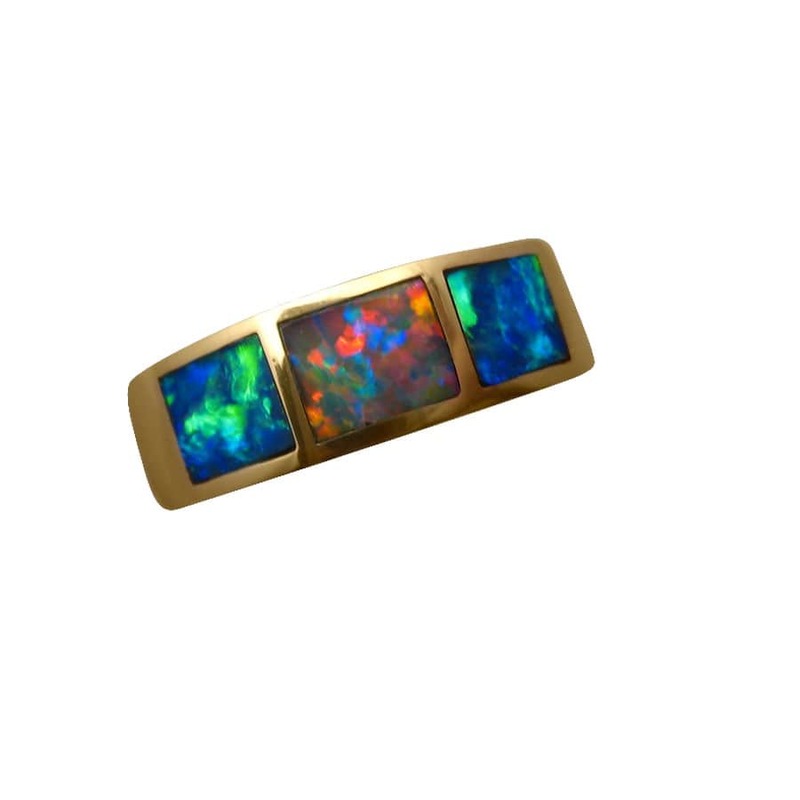 The 14k Gold ring is inlaid with three Gem Grade Lightning Ridge Opals that flash a rich Blue and these are very bright and lively. The ring in the photos has been sold however you can inquire about having one Made to Order through the ask a question link above. 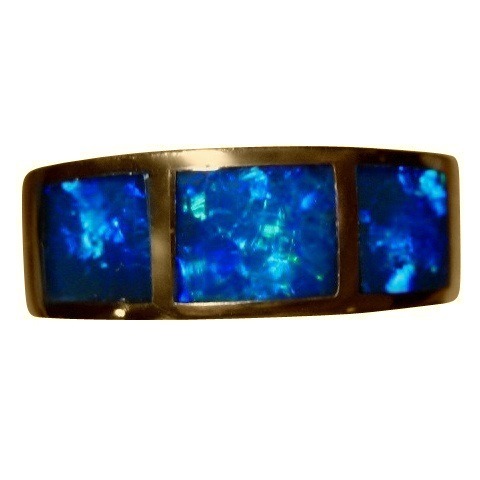 The last image shows a ring that was custom made in the same style but with the center Opal including Red.